Limited-scope representation is when you and a lawyer agree that the lawyer will handle some parts of your case and you will handle others. 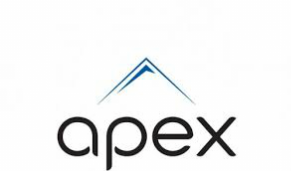 At Apex, it is our firm belief that a client should hire a lawyer or law firm at the beginning of a case and work with that lawyer until the end of that case if at all possible. However, for various reasons, the Superior Court of the District of Columbia has made piece meal representation available to the public. These same services may also be used by a lawyer, who for various reasons may want to hire another lawyer to handle a specific task or tasks without him/her being the permanent lawyer of the client. The following are some of the services that we offer under the rules of limited-scope representation in the District of Columbia and before Federal Courts and Agencies in Maryland. Prices are negotiable, but are based on past experience performing the task(s). Apex Legal Services makes no guarantee of success for any limited scope representation, documents drafted or any other work performed. However, if you hire us for limited scope representation, we will work very hard for you and give you the best advice, representation and/or product/document we can provide! At Apex it is our firm belief that before any legal action is taken an investigation into the facts should be undertaken to determine if a valid claim/complaint exists. Collecting ﻿facts﻿ is quite different from opinions, what you think, and how you feel. Settlement Demand / Outline of allegations and supporting law. Anyone can make an allegation of wrongdoing against someone. While we would all like to believe that for every wrong, there is a remedy, that is not always the case. Thus, before you waste your time making allegations that may indeed be true, you should invest some time into finding out if there is a remedy for the alleged wrong. This is where the law comes into play. The law has to be thoroughly researched to determine if your allegations can support a prima facie case.